Wooden Mop Handle Features Extra-Durable Plastic Clamps To Powerfully Secure Onto Your Mophead. Threaded Compression Collar Provides A Secure Grip And Allows You To Change A Worn-Out Mophead Without Touching The Soiled Surface. Mop Handle Is Recommended For Wide-Band Mopheads (Sold Separately).. Wooden Mop Handle Features Extra-Durable Plastic Clamps To Powerfully Secure Onto Your Mophead. Threaded Compression Collar Provides A Secure Grip And Allows You To Change A Worn-Out Mophead Without Touching The Soiled Surface. 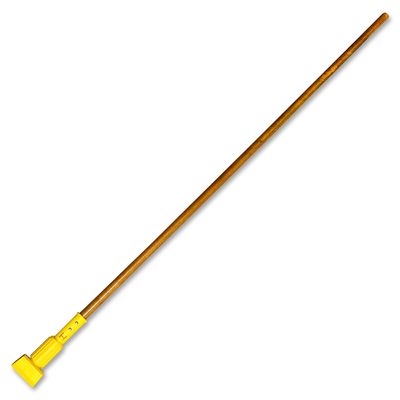 Mop Handle Is Recommended For Wide-Band Mopheads (Sold Separately).